Filet crochet or filet lace is pretty amazing, really. It creates beautiful works of art with only 2 stitches, the chain stitch and the double crochet stitch. Filet is used in many different kinds of projects. To name just a few, there’s doilies, tablecloths, window treatments, lace edgings, even shawls and bedspreads. This method is usually worked with crochet thread. Thicker yarn can be used. However, a heavier yarn may take away from the design you’re hoping to achieve. This tends to happen because yarn makes the edges of your pattern fuzzier instead of having the sharper edge created with thread. Designs for this technique are usually made on a grid (grid paper). Each square is either filled in or left open to produce a picture or pattern. These designs can be pretty much anything from words to flowers, even animals. Some are just simple, yet beautiful patterns. So, anything you can come up with to draft on grid paper can be turned into filet lace. You can see in these pictures how I worked the pattern on grid paper for my crochet-basics.com lace and what the finished project looks like. Some patterns are written using symbols instead of on grids, like this picture on the right.. 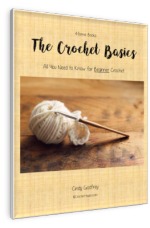 The open spaces in the pattern represent spaces in your crochet. They are created with chains. The filled in squares are where double crochets are worked. Usually 3 double crochets are worked for each square that is filled. 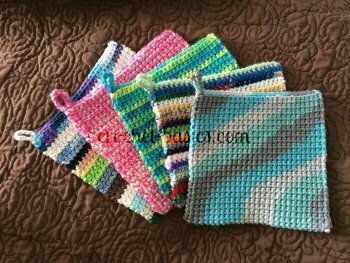 Although, patterns can call for any number of double crochet for each square. They usually keep them between 2 and 5. The more there are, the more your picture will stand out from the spaces. Filet crochet is worked in either of 2 multiples. If the 1st square in the 1st row is closed (filled), then the piece is worked in multiples of 3. If the 1st square in the 1st row is open, then the piece is worked in multiples of 3 + 5. This is because you need to crochet 3 chains for the turning chain and 2 chains for the first space. Many, if not most, of these pieces are blocked and starched when they are finished. This helps the finished project have and keep the desired shape. Here’s a little more information on blocking. For a helpful walk-through, check out this post by Craftsy. 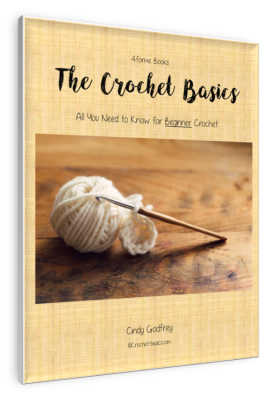 For some great patterns, check out Crochet Pattern Central.